Just the other day, I was contemplating how far I’ve come in my own journey INCLUDE YOUR OWN PERSONAL STORY HERE TO ENGAGE WITH YOUR AUDIENCE. That’s why, when my friend Harriet Castle, who’s a Transformational Life Coach, asked to interview me about mindset and confidence for women, I didn’t hesitate for a second to share my experience and insight. 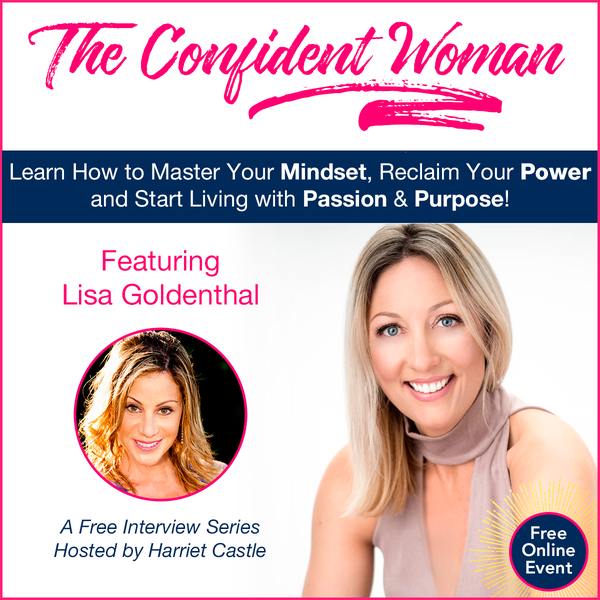 Harriet’s hosting a FREE online interview series called The Confident Woman – How to Master Your Mindset, Reclaim Your Power and Start Living with Passion and Purpose. She has a line up of leading global experts, of which I am one! You’ll be able to watch her interviews with bestselling authors, TEDx speakers, elite athletes and more, from your home, office or even listen in the car. I AM NOT MISSING THIS! Harriet’s a real ‘mindset warrior’ in the sense that she is committed to helping others to get clear on their vision, break limiting self-beliefs and develop confidence to live the life they want. Life hasn’t always been good for Harriet though. After a dysfunctional upbringing in an alcoholic and abusive home, Harriet made her way forward into the world at age 16, with no family support. She struggled with anxiety, depression and a whole load of unhelpful self-beliefs. However, this didn’t stop her from going on to have a long and successful global career. To reach more people, Harriet has created a rich and action-packed interview series with people who have dedicated their life work to helping others as well. How do you hold yourself back from doing what you really want? Because, if you’re like me and busy in life, these interviews will be around 30 minutes in length. As a member of my community, I’ve got you a FREE seat on the series. What would it be worth to find the keys to your passion and purpose? I know for me, it would be worth a lot, that’s why, I’ll not only be participating, but I’ll also be attending. I DON’T WANT TO MISS THIS EVENT! Feel it, See it, Share it — New Year Challenge! Black Friday SALE! Save money & get fit with me!